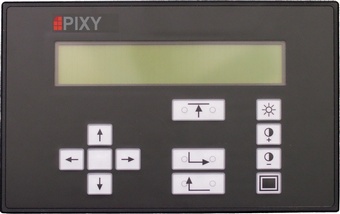 Pixy has become one of the leading manufacturers of visualisation solutions for rail technology. 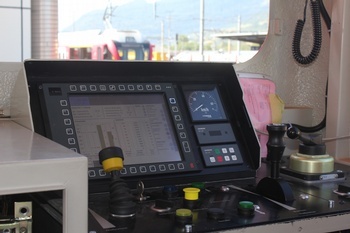 Evolved by a company established in 1988, these robust Swiss products have a firm place in the trains of the world s major rail vehicle manufacturing companies. 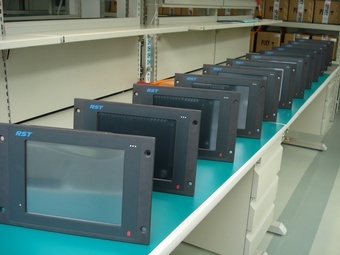 Today more than 30,000 Pixy displays are in service around the clock all over the world. They are used wherever the need for mobile visualisation and rough industrial environments come together. Whether in the freezing cold or in smouldering heat users can certainly rely on Screenboards®. A successful Swiss SME regulates his succession: The founder and owner of Pixy AG has sold his company to Sécheron Hasler Group. Both groups supply the railway industry, their products are complementary. Pixy will be managend independently. 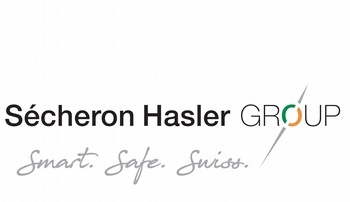 On April 30, 2018, Mark Meier sold Pixy AG to Sécheron Hasler International SA, a global supplier of safety-relevant components and systems, primarily for the railway industry, which was founded 125 years ago. 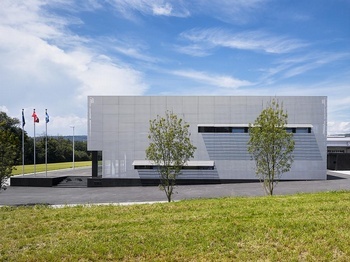 It employs around 1100 people in Switzerland (Geneva, Berne) and various subsidiaries in the key markets. 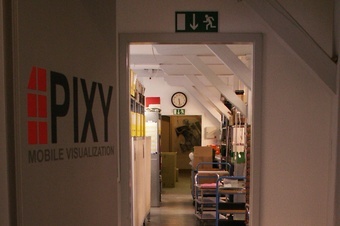 The Pixy headquarters in Untersiggenthal, the location in Shanghai and the jobs will be retained. As of July 1, 2018, the company will be managed by Roland Wegner, previously Head of Sales, who will succeed Mark Meier as CEO. 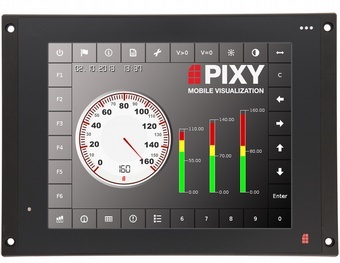 Pixy offers tailor-made and cost-effective retrofit solutions for HMIs in cockpits to keep vehicles working in the future. The complete SIP / PAD package (hardware and software) is the ideal recipe for this. 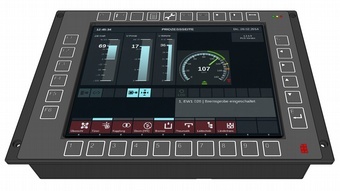 All standard variants in terms of display size, interfaces or performance are covered.The new PAD enables all software-projects to be easily and quickly transferred to all screenboards (HMIs) of the new generation. Ideal conditions for perfect obsolescence management. The INC-100 is a 10.4" flat DMI with an Intel Atom processor and LED backlight. 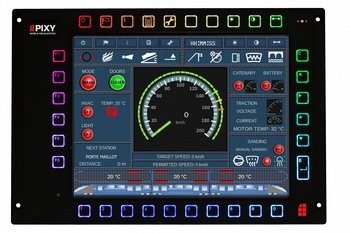 The high-performance device includes all standard interfaces and is optionally equipped with an additional 1.27" status display on the top left as well as with a colored backlit keyboard. 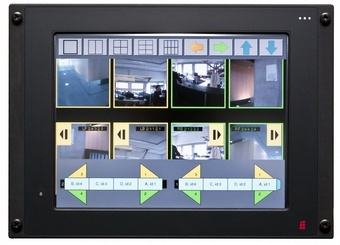 Each button can be programmed individually with any color. 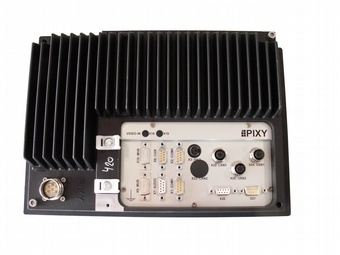 The new SIP-30 is a new 10.4'' DMI with an 800 MHz ARM processor that is supplied exclusively with the programming tool PAD (Pixy Application Designer). 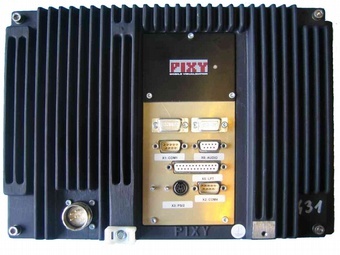 Like all other Pixy Screenboards, the SIP-30 has a long operating life, rugged housing and low power loss. Together with PAD, SIP-30 is the ideal solution for cost-optimised applications, for example in refit projects: rapid implementation, flexible software adjustments and excellent value. Following the successful introduction of INC-93 (10.4") and INC-91 (12.1") the compact variant INC-93 has been introduced. 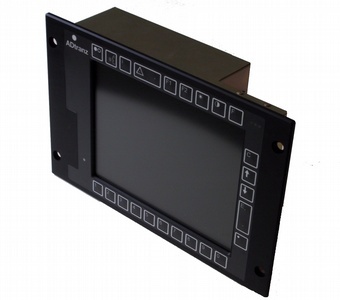 For signalling applications more redundant solutions are increasingly required. This means that a software application should run on two independent DMIs. If one device fails, the other will be able to assume all functions. INC-93 is an 8.4" upright Screenboard® that is installed in duplicate side by side. 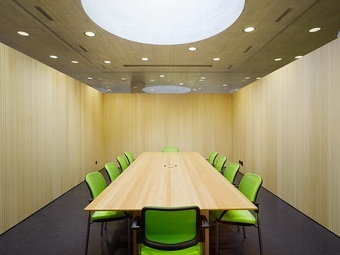 A space saving application also ideal for refit projects. 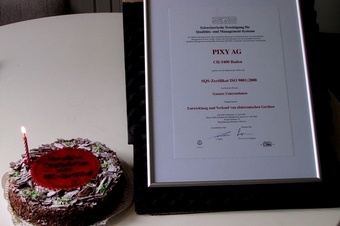 Following extensive adaptations of the management system, Pixy AG has completed the certification process successfully. Besides IRIS rev. 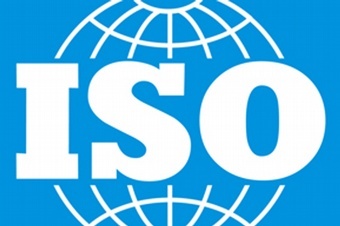 02 also ISO 9001 and ISO 14001 were successfully certified. To support the management system optimally new server based application software is used. INC-90 (10.4" display) is complemented by a 12.1" variant INC-91. 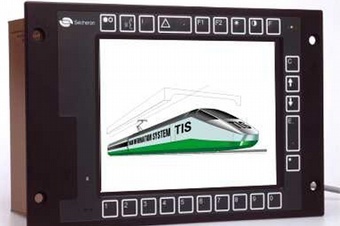 INC-90 is a compact low power display for global requirements, the ideal equipment for train control and diagnosis. With a high performance (1.3 GHz CPU) it is designed for standard railway applications such as ETCS, TCMS, CTCS, but also specifically designed for digital video applications. In comparison to the previous INC generations the availability of INC-90 could be increased thanks to a completely integrated hardware (all-in-one motherboard). Equipment depth (62 mm) and weight (about 3 kg) were further optimized. 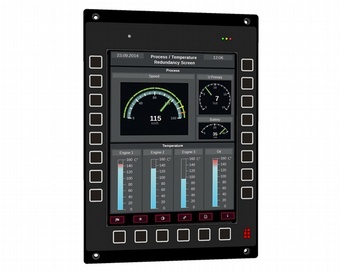 The new INC-81 features a 12.1 inch screen and is designed for extensive graphics oriented applications. 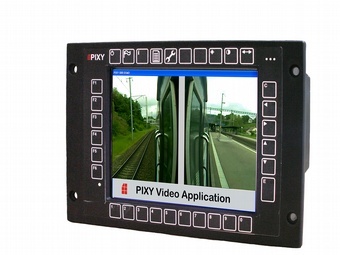 Pixy AG provides for the first time a TCP/IP-video solution for local traffic trains consisting of Screenboard ®, Screensoft ® (Pixy video application) and external cameras as replacements for the mechanical rear-view mirrors. 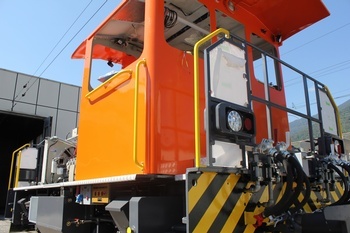 The new railway standard IRIS (International Railway Industry Standard) is aimed at rail operators, OEMs and manufacturers of rail components. For Pixy AG, IRIS is an important component for high-quality collaboration with business partners from all over the world. 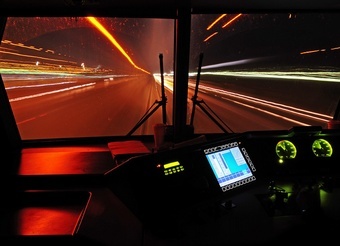 Introduction of INC-80 for high-performance applications such as TCMS, train control or video applications. Not far from the previous location at Baden, a modern facility for development and production is built at Turgi covering more than 1400 m². 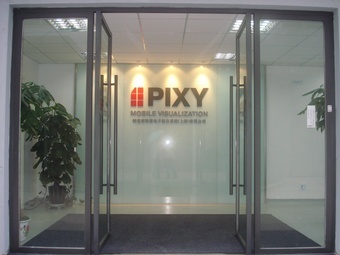 The continuous increase in sales of Pixy products, in recent years, necessitated ongoing adjustments in production, development and office space. Due to the modern infrastructure, processes in development and production as well as purchasing and sales can be organized optimally. 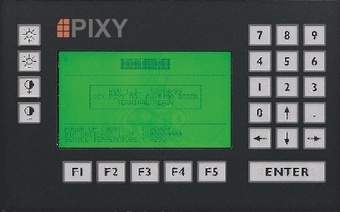 2007: Founding of Pixy (Shanghai) Co. Ltd. 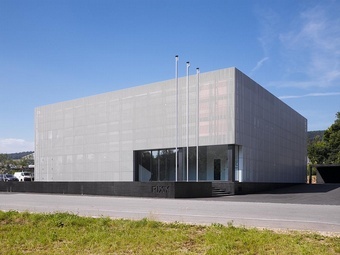 Through its subsidiary Pixy (Shanghai) Co. Ltd. the group now has a second location, which is responsible for handling the entire Asian market. 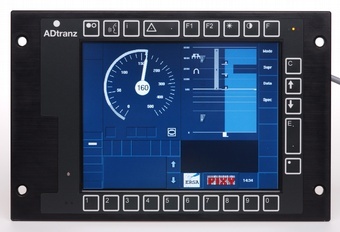 At the same time Pixy becomes the official supplier of visualization systems for the first ETCS project in China. 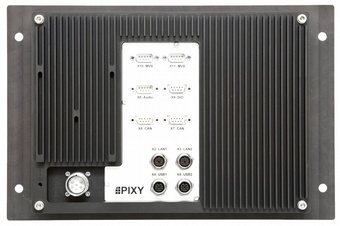 With SIP-10 and the associated Pixy Application Designer (PAD) Pixy launches a revolutionary complete solution for easy programming of applications. 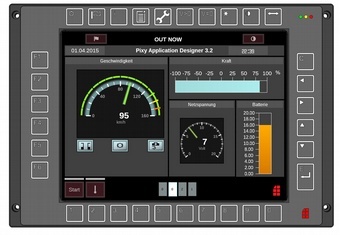 PAD the newest member of the Screensoft® family delivering fast and easy graphical programming of Screenboards®. 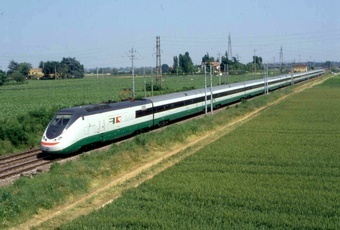 From 2006 onwards INC-60 is used for commercial operation of the first ETCS route in Europe, between Milan and Turin as well as between Rome and Naples. 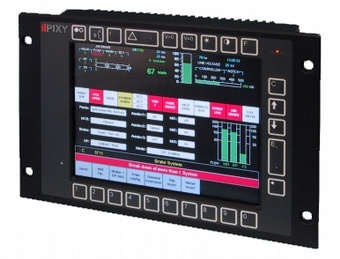 For the first time a complete solution consisting of hardware (Pixy AG) and application software (ERSA France) is offered. In order to develop new markets that are strategically important, four sales partners of Pixy AG will be working from 2005 onwards, in the Czech Republic, Poland, India and Australia. The Screenboard® INC-70 is launched onto the market. 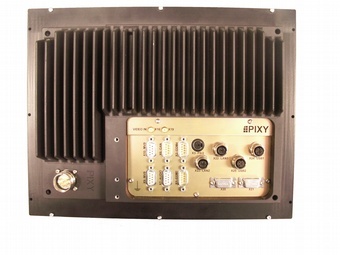 Its 600MHz processor allows for the first time proper use of multiple functions in a single device such as TCMS and analogue video application. 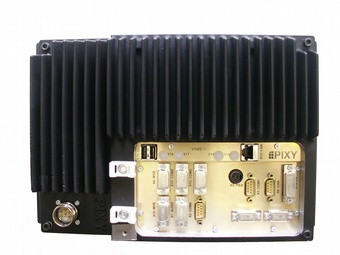 By introducing INC-60 Pixy realizes a new hardware platform featuring a "single board" solution and newly developed cast housing with IP65 (front) and IP42 (rear). 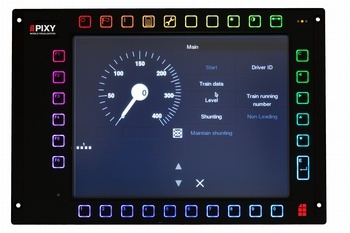 In doing this Pixy AG becomes the world’s first provider of railway suitable cab displays complete with cast aluminium housings. Due to the extreme robustness and low installation depth, INC-60 is used in large quantities for signalling applications for local traffic (metros and underground). Introduction of a quality management system and successful certification according to ISO 9001 and ISO 14001. Consistent implementation of the new system ensures a sustainable and consistent high quality of products and services. 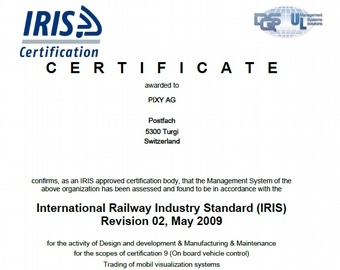 Thus Pixy AG completes the preconditions for entering the worldwide railway market. With the introduction of the second generation (INC-50), Screenboards® will be used in more than ten countries in Europe and Asia. They live up to their high expectations for different environmental conditions such as extreme temperature ranges (-30 to +75 degrees) and severe humidity. With the introduction of the new INC-40, Pc based Screenboards® are deployed for the first time for performance intensive applications. 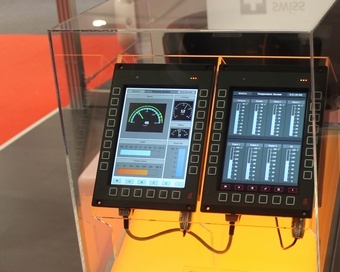 The open hardware platform can be deployed for both TCMS and for signalling applications and supports field buses suitable for railway use such as CAN, RS 422/485 and MVB. 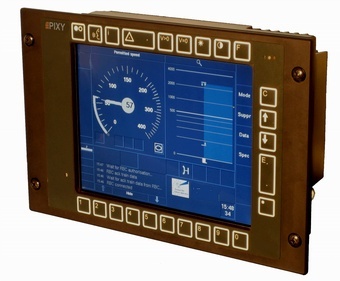 Pixy AG delivers the first driver`s cab displays of type ICT (VT-100 terminal) for the Swiss railway market. 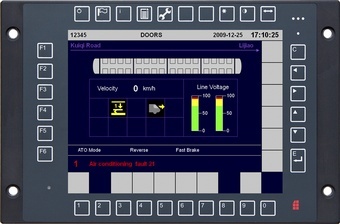 Since then the main activity lies in developing and producing mobile visualization systems (called Screenboards®) for rail transport. Since its formation by Mark Meier based in Neuenhof Pixy AG has been active in the development of customer specific visualization systems. 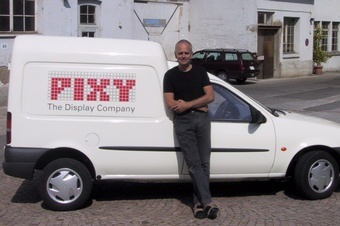 Pixy was one of the first companies in Switzerland to develop PC based devices for the industry, consistently using flat panel displays, which at that time were still plasma and electroluminescent displays. 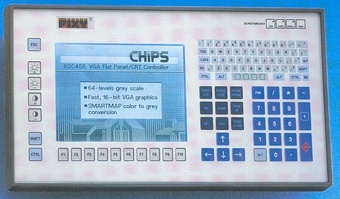 The first devices were developed mainly for industrial applications, human machine interfaces (HMI) for machine control.